MOGADISHU, Jan. 29 (Xinhua) -- Somalia's Presidential Election Committee (PEC) announced on Sunday that 24 candidates will be contesting for the presidency in the Feb. 8 election, signaling the holding of a presidential poll after several delays. The committee, made up of 18 members drawn from the Lower and Upper Houses of Parliament, said in a statement issued in Mogadishu that it had cleared 24 candidates for the elections after the close of registration deadline at 5:00 p.m. local time on Sunday. 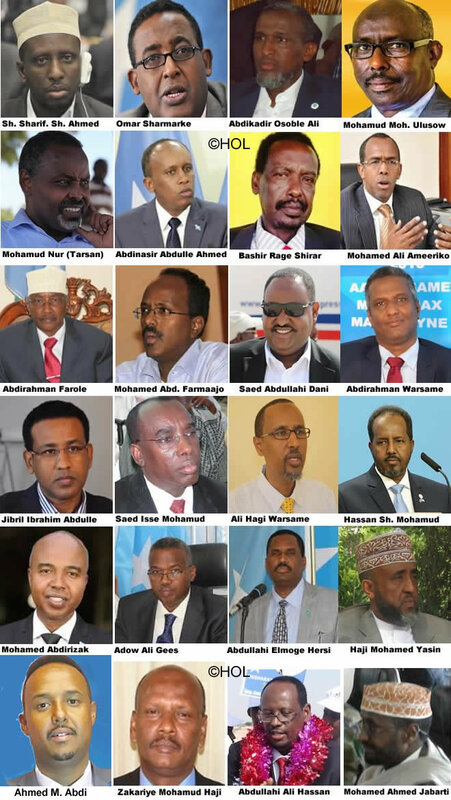 The incumbent President Hassan Sheikh Mohamud, his Prime Minister Omar Abdirashid Ali Sharmarke and former President Sharif Sheikh Ahmed are among some of the leading candidates duly cleared for the race. Others are former Prime Minister Mohamed Abdullahi Farmaajo, former ambassador to Kenya Mohamed Ali Nur and former Mogadishu mayor Mohamed Ahmed Nor Tarsan. Each candidate is expected to pay a 30,000 U.S. dollars election fee among other requirements. Several candidates are foreign passport holders but the PEC indicated earlier it would not consider the second nationality of the candidates an issue. The Upper House and the House of the People (Lower House) will in a joint seating elect a new president with a winner in the first round required to garner a two thirds majority. A candidate will need the endorsement of at least 219 votes to win in the first round. If failed, a second round will be called with four of the candidates with the greatest number of votes in the first round taking part. The Upper House has 54 members while the Lower House is made up of 275 members. The presidential election has been delayed for the fifth time in January for Feb. 8, after disputes and fraud effected the process of parliamentary polls for the lower and upper houses. The PEC said any candidate who gains a two thirds majority in the second round shall be elected president according to the 2012 Provisional Constitution. The PEC has also organized a public debate for all candidates on Monday. The debate, in which candidates will spell out their manifestos, will be aired live. The elections committee will conclude its preparations between Feb. 6-7 ahead of the ballot vote the following day. Between Feb. 2-5, the presidential candidates will address their campaign's agenda before the Federal Parliament of both houses.